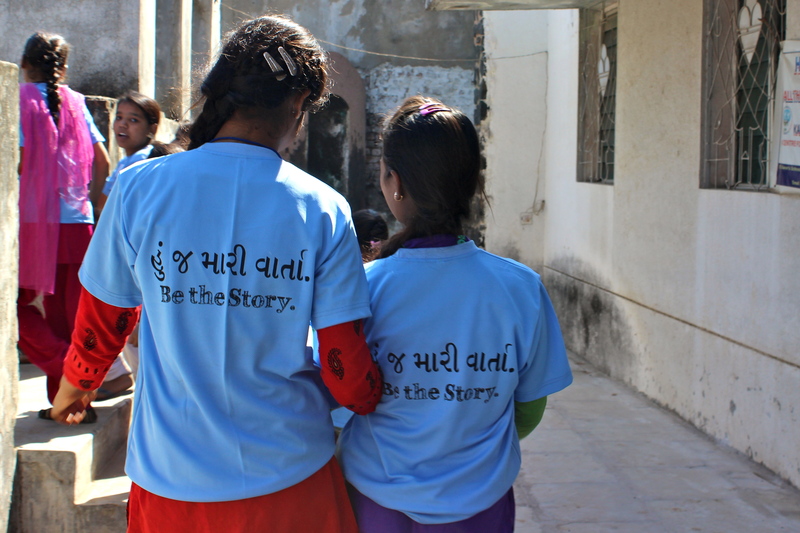 Day 4 in Ahmedabad: Launching the LitCamp! Hello LitWorld Family! We are wishing you a very warm, joyful hello from Ahmedabad! Today we launched the LitCamp! It was a vibrant, joyous, interactive day full of new friends, games, and much laughter. We began the day with the traditional prayer that the Kadam Education Initiative (KEI) chants at the beginning of all their meetings and programs. It is a simple non-religious prayer for peace for all humanity. We then moved to an outdoor soccer field for morning meeting. The kids eagerly joined in for breathing, stretching, and singing. 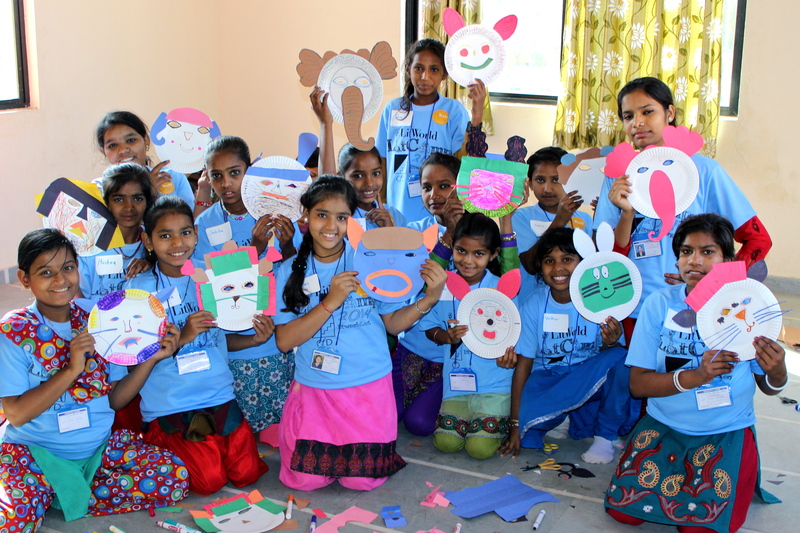 From there we moved into bunk time (the groups we put LitCampers in are color coded and referred to as "bunks") where the Bal Dosts led a newly translated version of "Read Along," did a read aloud, and helped the children decorate their notebooks. I've never seen a group of children so effortlessly and eagerly jump into activities. There was never any hesitation. After lunch, we began our afternoon workshops. The bunks rotated through Sound and Movement, community building games, the Book Mural, and Animal Masks. Bal Dosts helped the children transition from workshop to workshop and assisted in leading the activities. We wrapped up the day with a group circle and a round of the Goodbye Song, sung mostly with "La Las". At the end of the day we had an enlightening and inspiring staff meeting. We asked each Bal Dost to share their rose from the day. Meera began by telling the group that this had been one of the best days of her life. She explained that most of the girls, especially the Muslim girls, had never played a game outside before. The communities they've come from have strict rules for women and are far too dangerous for this kind of play. Seeing these girls play and express themselves without hesitation or fear was a great highlight of her life. The women continued to share how much they learned over the course of the day, whether it was how to manage a group of 75 children (none of them had ever worked with such a large group), or learning new activities and teaching techniques. The final person to share was Gargi, our INCREDIBLE 28-year-old translator. She told us that today had been one of the greatest days of her life. She had assisted in a few other camps in Ahmedabad, but she had never seen such thoughtful, nurturing activities or kids as happy or joyful. But perhaps Armene said it best, "Today will have been a highlight of all the children's lives. It will be a happy memory. We are so looking forward to tomorrow and watching these incredible children continue to grow.